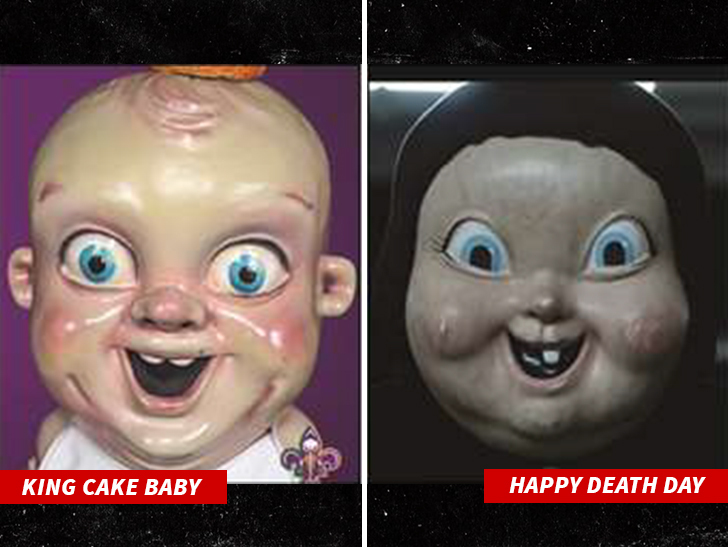 The guy who created that freaky King Cake Baby character — the New Orleans Pelicans mascot — claims the movie “Happy Death Day” jacked his freaky face … and now he’s suing to get revenge. Bertuccelli says NO ONE involved in the movie ever called him up to ask for permission — or even credited him — and he’s pissed at Universal City Studios, Blumhouse Productions and everyone else attached to the film. In fact, Bertuccelli believes the movie has made more than $200 MILLION in revenue — and he feels entitled to at least 50% of the profits.